Have you ever thought about how much effort you have put into getting your wargame figures ready for battle? Or the value of the figures, units, armies and collections you own? We know, if you’re like us, that you have built up your collection gradually. And no one thinks about the mounting monetary value of the forces they are amassing. It’s all about the game, the tactics and what’s at our disposal on the battlefield. But with that all said, the time and effort we spend building our collections can add up to impressive valuation totals. The Collection Calculator is FREE and full of features. 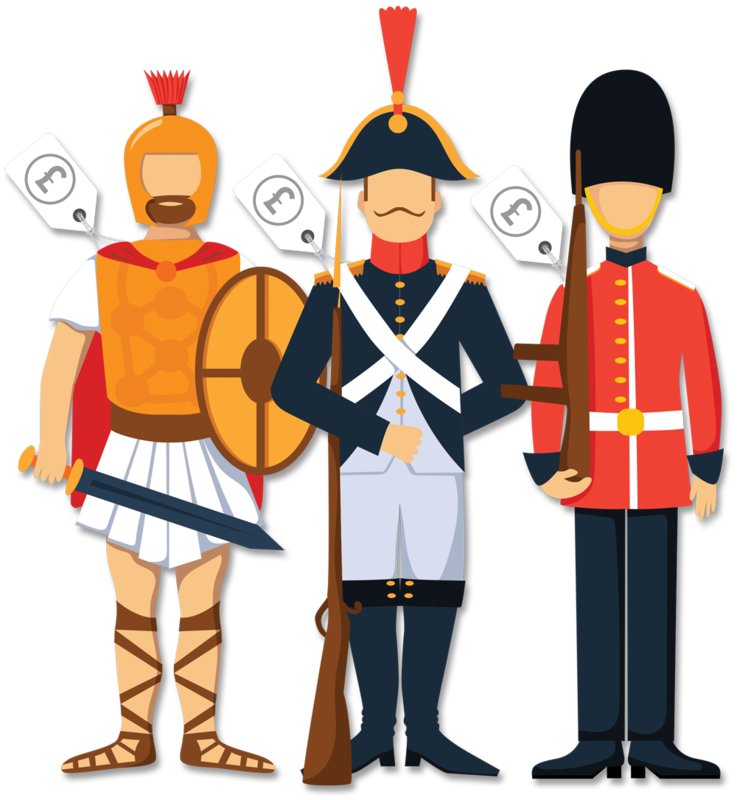 Instantly calculate the reserve price you should put on your wargame figures if you are offering them for sale or as an inventory for your insurance. Build your own Table of Organisation and Equipment unit by unit and see how your collection increases in value as each additional item is added. Upload photos of your units and describe what they are and their current make up. We will then keep a record of your collection safe and sound for posterity. Add to or edit your collection at any time. As time passes and the prices for your figures change you can see this reflected in the current value of your collection.